← The umbrellas of C…? Although we’re less than 80 kilometers (50 miles) from Spain, we can’t get there from here because our favorite mode of transportation, the train, doesn’t cope well with climbing to the 3400 meter summit of the Pyrenees where the border runs along the mountaintop. 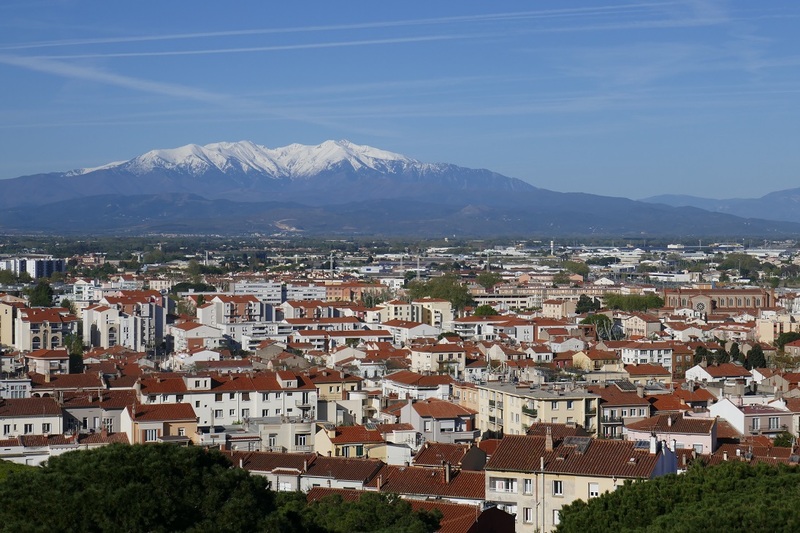 When we’re going that far south, the tracks first head east towards the Mediterranean before turning to Spain and passing through a city that has existed on both sides of the border: Perpignan. Not unlike Montpellier, where there is little evidence of the 2000-year-old Roman influence found in so many other locations in France, this southern capital wasn’t established until the 10th century. We left the train station that in 1963 painter Salvador Dali declared as the “Center of the Universe” and headed to the Palace of the Kings of Majorca, that then included the now-Spanish islands of Majorca and Ibiza, where construction began in 1276 and served as the kingdom’s headquarters for a century. Inside the uncut stone walls, there are gardens, courtyards, 2 chapels, a pink marble door, and extensive views over the city from the main tower. The Loge de Mer, beside City Hall, was constructed in 1397 as a place to hear disputes regarding mariners and the sea. It has been used as the stock exchange, a theater, and later as a consulate. Right next door, dating from the 15th century is the Palace of Députation (deputies) where the commission that formed the central government met, much like a parliament. The Museum of North Catalonia history is housed in the Castillet, a crenelated fortress that first served as a city gate and then became a prison. Built beginning in 1368, under French occupation it was greatly modified by Louis XI. In 1948 the skeleton of a young boy, rumored to be Louis XVI was discovered behind a closed off window. Believed to be an important bargaining tool while brokering peace with Spain, the future king died unexpectedly with his body being secreted away inside the castle. St. John’s Cathedral was originally a church with 3 naves with work beginning in 1324. That was converted to a single nave in 1433 but it did not achieve status as a cathedral until 1601. 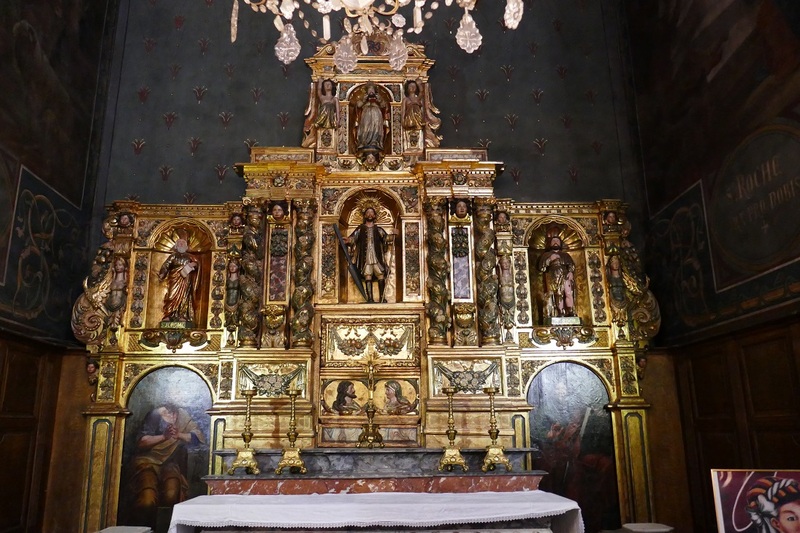 While we were inside we passed by many ornate side chapels and the tomb of one of the kings of Majorca. The walking brochure from the tourist office aptly describes our next destination as being in the shadow of the Cathedral. 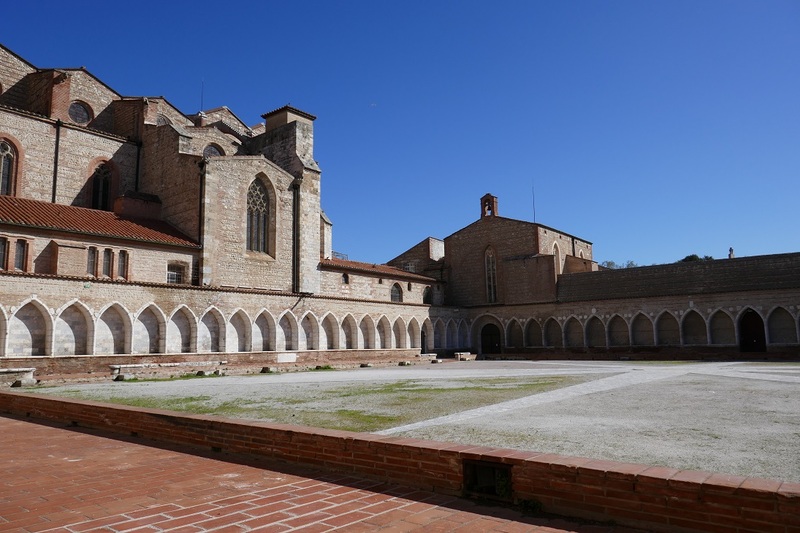 The Campo Santo is a cloistered convent and cemetery that was started in the beginning of the 14th century. There are 4 covered galleries, or arcades, that are decorated with white marble contrasted by a black marble gothic gate. Our final stop was at Casa Xanxo, one of the few gothic structures remaining in Perpignan dating from the beginning of the 16th century. 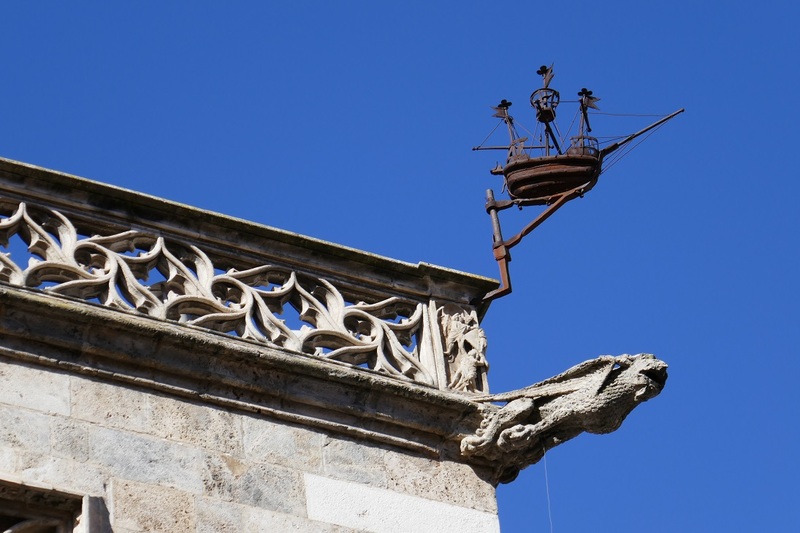 It was built for a wealthy fabric maker, Bernat Xanxo, who had the front of the building decorated with a scene of the 7 deadly sins and Hell. OK, enough with the history; where did we have lunch? As you would expect, a city with lifelong maritime and Catalan connections exerts a strong influence on the restaurant choices. Selections for seafood and tapas abound but so do classic French dishes now that Perpignan is solidly within the borders of this country. 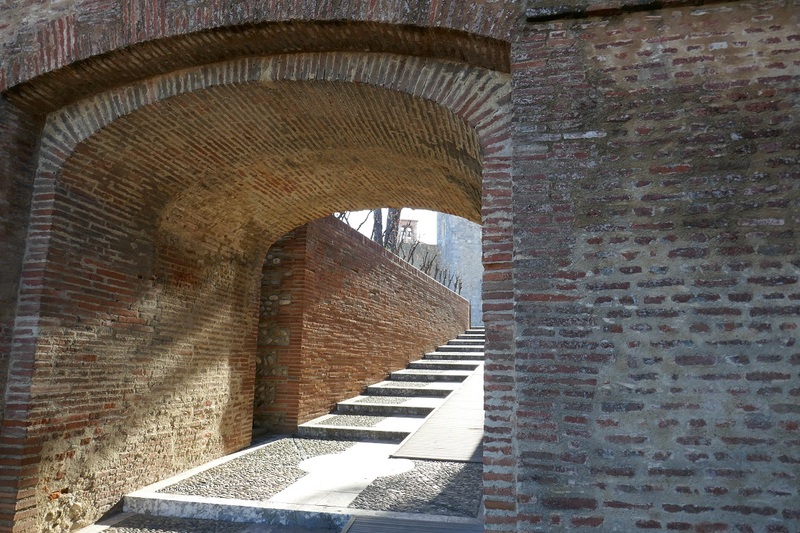 Not far from that original city gate we chose from the latter category with Le VIP where we started with an avocado and shrimp salad, continued with grilled salmon, and ended with a Santiago tart, a Spanish almond cake. Chilled local rosé wine complemented all of the courses and was perfect for our sunny outdoor setting. The walk back to the train station was made even more pleasant by the narrow canal and its gardens that stretched the length. 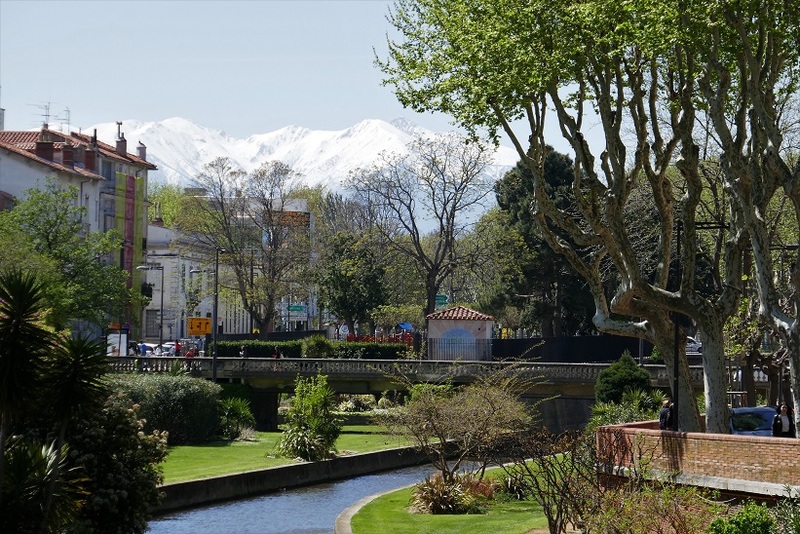 We now have a much better appreciation for why Dali considered Perpignan as the center of the universe. Posted on July 22, 2018, in Life in France, Travel in France & beyond and tagged Americans in Carcassonne, Day trip, Restaurants. Bookmark the permalink. 1 Comment. Lovely Sunday morning read. 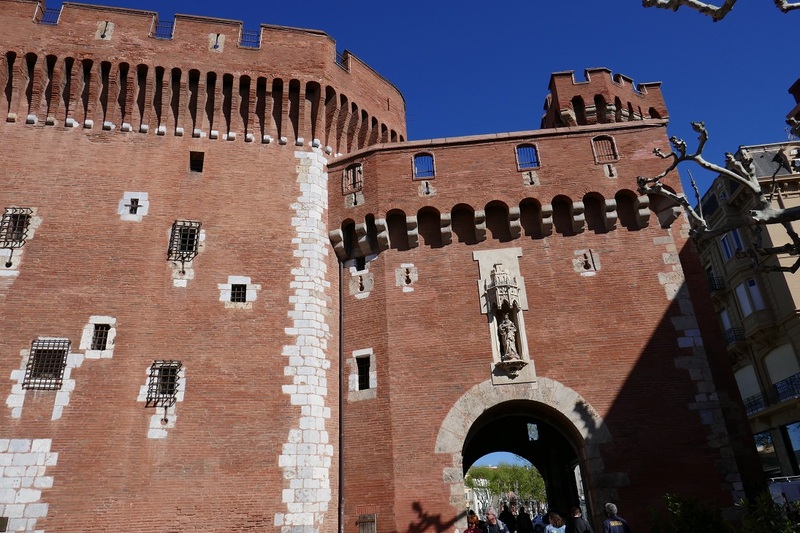 Perpignan sounds like a fascinating and beautiful place. Particularly enjoyed the lunch menu.